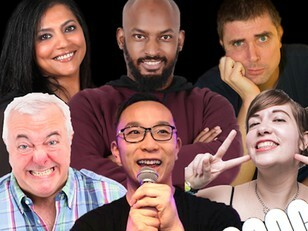 The best and brightest stand-up comedians in Hong Kong, all on one show! Headliner of the month: Pete Grella! 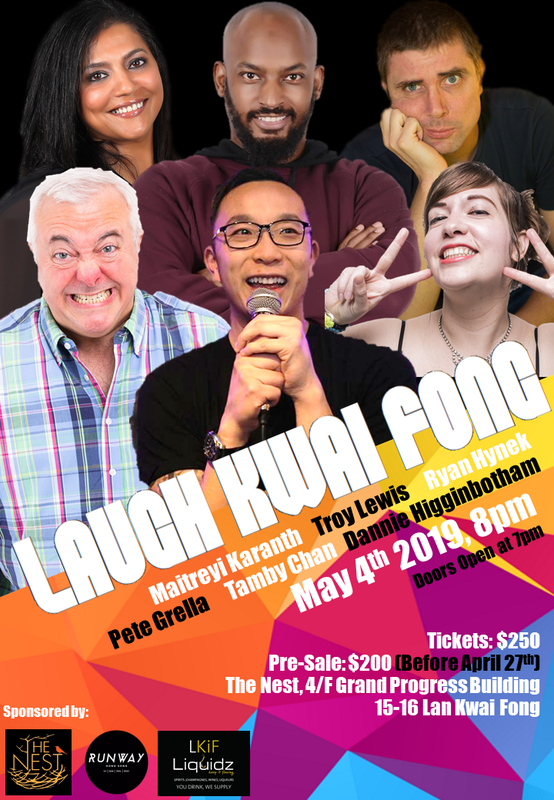 Pete Grella is a Hong Kong-based stand-up comedian and improviser who has been cutting up audiences around Asia for over ten years. In addition to being a regular performer in Hong Kong, Pete has performed in New York City, Shanghai, Beijing, Guangzhou, Shenzhen, Dongguan, Singapore, Bangkok, Kuala Lumpur, Fukuoka, Seoul and at the MGM Macau. He has also hosted or opened for a long list of visiting international comics, including Tom Cotter, Paul Ogata, Tom Segura, Ruben Paul, Barry Hilton and Ari Shaffir. Pete’s sets often dissect life as an expat (and just trying to fit in, in general), though he’s never afraid to poke fun at himself and his own bad habits. He also likes to engage the audience, so if you're sitting up front, be ready to chat! Pete has also been performing and teaching improv comedy (short form, free form and long form) for over 10 years in Hong Kong and around Asia, including Bangkok, Shanghai, Beijing, Manila, Singapore, Tokyo, Osaka, Guangzhou, Macau and Seoul. He is a co-founder of the long form improv groups Pajama Party!, 852 Crew, and 3 Dudes Improv, and the founder of the group Hong Kong Improv. He has also co-run the HK International Improv Festival and currently the HK Improv Jamboree. When he’s not performing or teaching, Pete has been known to live on an abandoned oil rig in the North Sea raising sea monkeys.